All images copyright © 2009-2012 by Wm. Robert Johnston and Victoria Johnston. 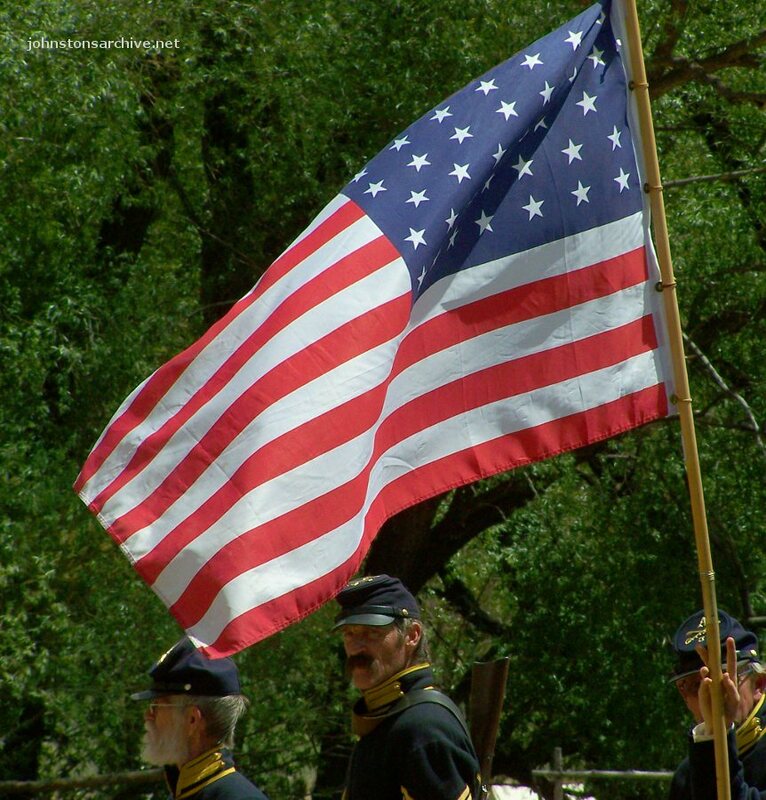 A collection of photos in celebration of the 236th birthday of the United States of America. The 34-star flag that flew over the U.S. in 1863. 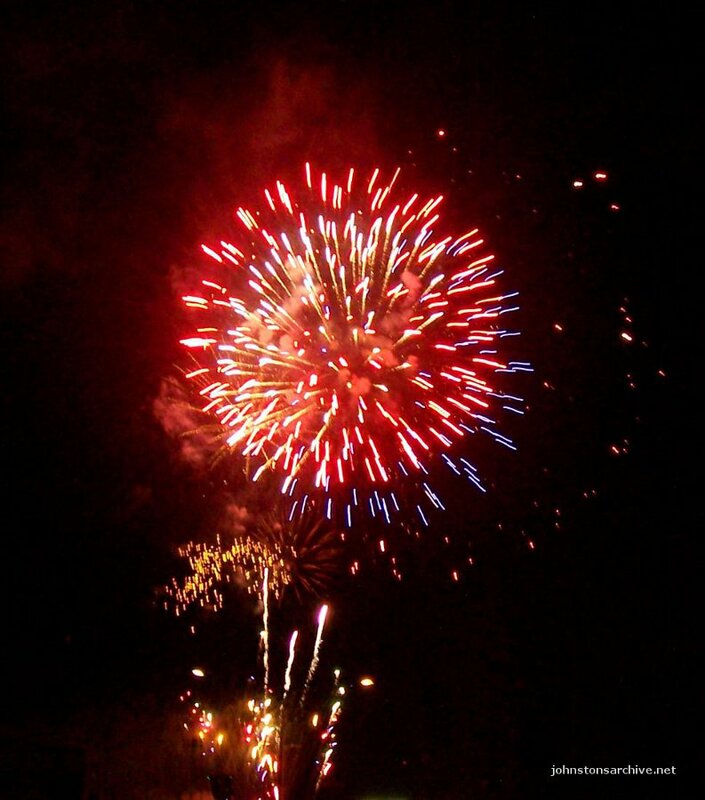 Fourth of July fireworks in Grand Junction, Colorado. USS Constitution, the oldest commissioned ship in the US Navy. 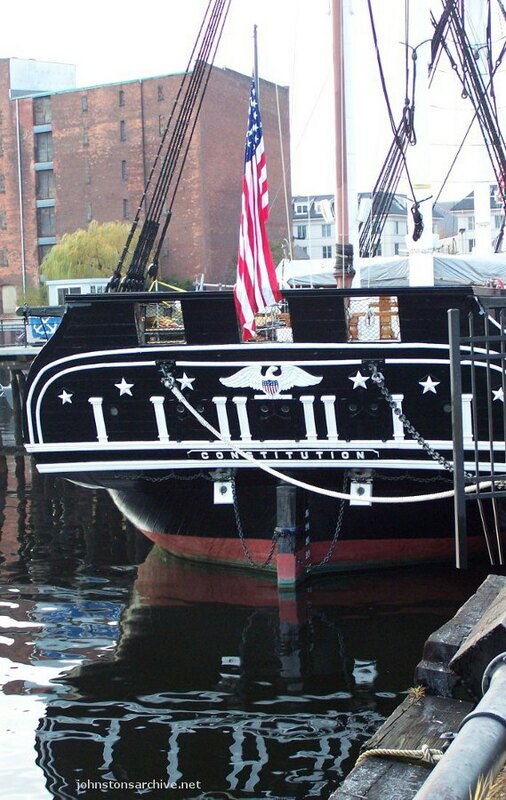 This photo shows the ship during refit in preparation for the bicentennial of the War of 1812, when she engaged the British and earned the nickname "Old Ironsides." 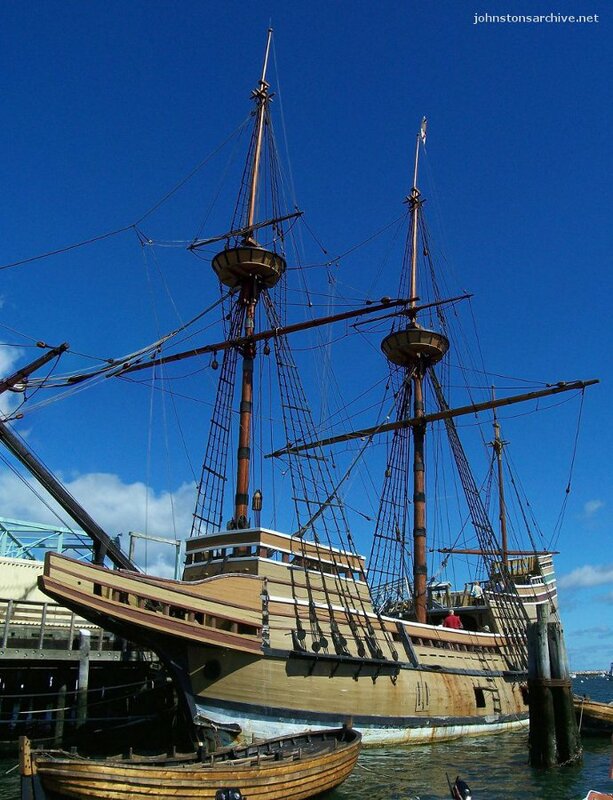 The Mayflower II at Plymouth, Massachusetts, a scale replica of the Mayflower. The Mayflower brought 102 British to the Massachusetts coast in November 1620--not to the site they were authorized to land, prompting them to adopt the Mayflower Compact before setting ashore. 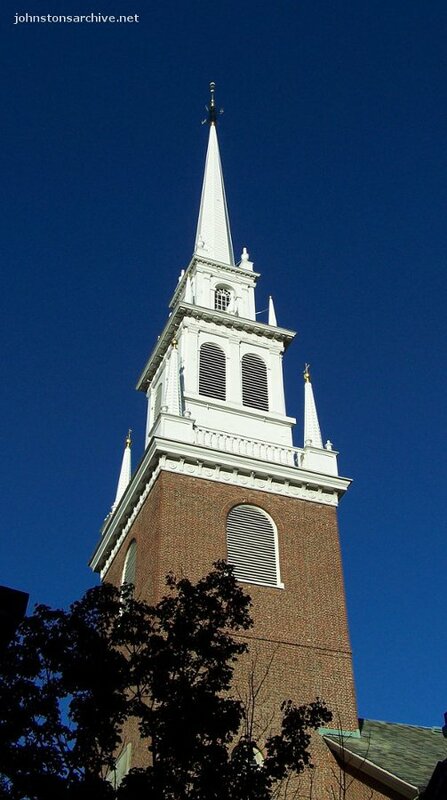 Steeple of Old North Church, originally Anglican, now an Episcopal church. This is the third steeple, as the original and first replacement were lost in hurricanes. 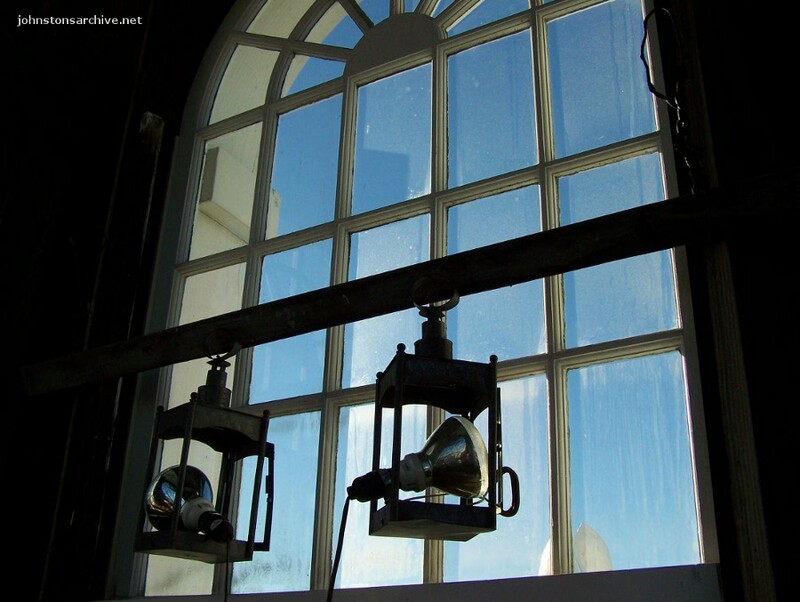 Window in the steeple of Old North Church, with representations of the two lanterns hung very briefly on the night of 18 April 1775 to warn Charlestown that the British were crossing by sea; they would attack Concord the next day. 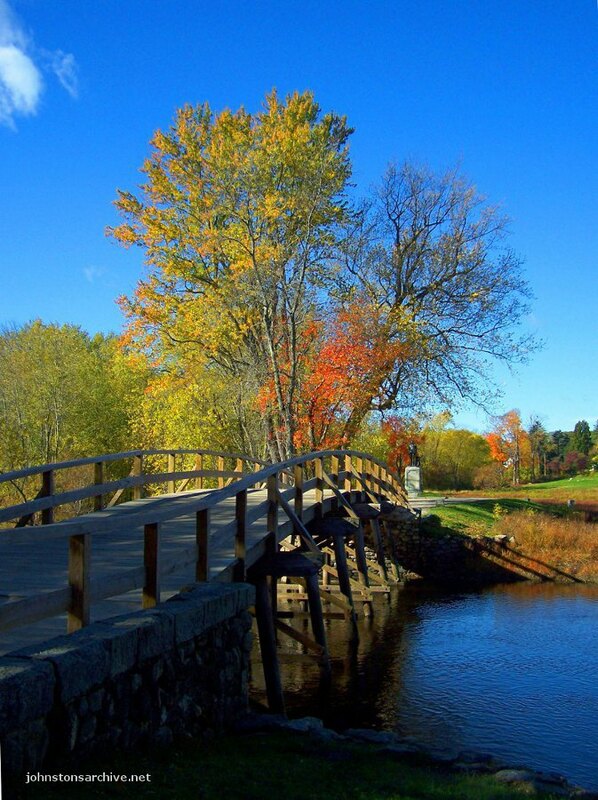 Reconstructed version of Old North Bridge near Concord, Massachusetts. Here, on 19 April 1775, revolutionary Minutemen first turned back British troops. 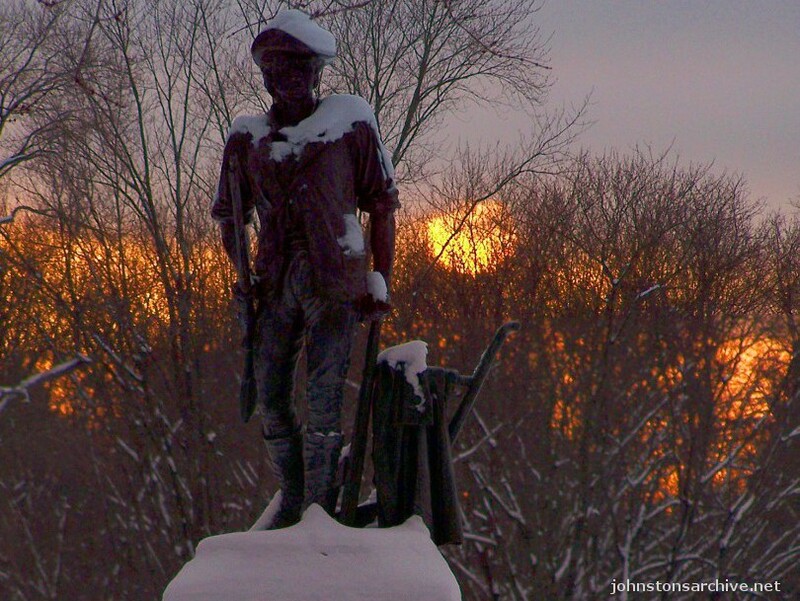 Minuteman statue at the Old North Bridge, Concord. 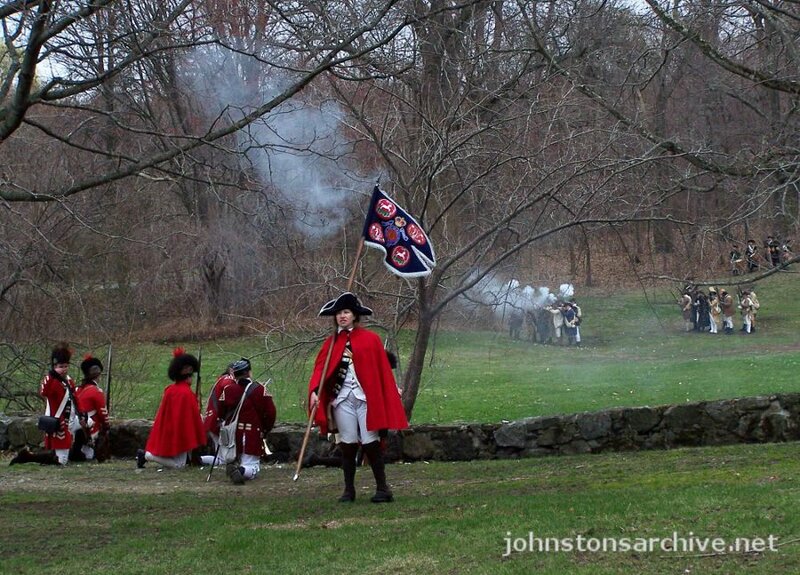 Patriots' Day reenactment in Lexington, Massachusetts: the first battle of the Revolutionary War, 19 April 1775, when colonial troops chased the British back to Boston. 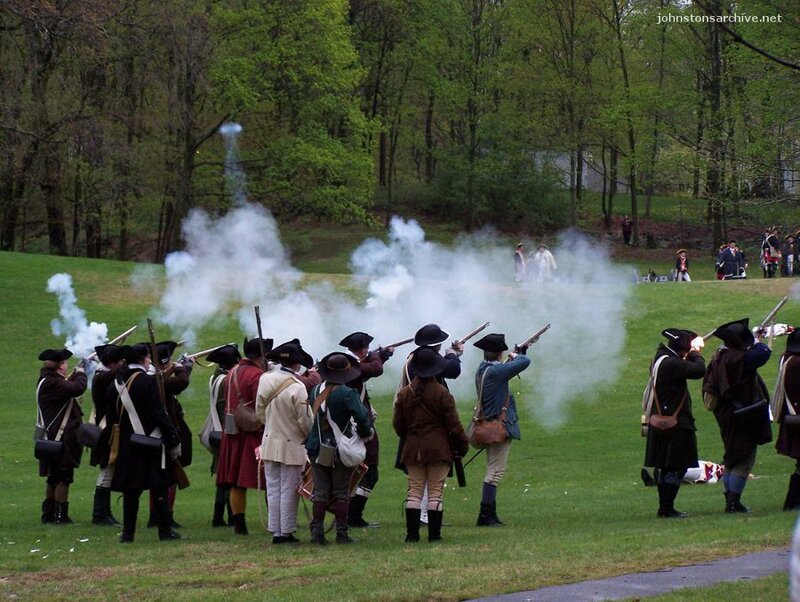 More Patriots' Day reenactment in Lexington, Massachusetts. 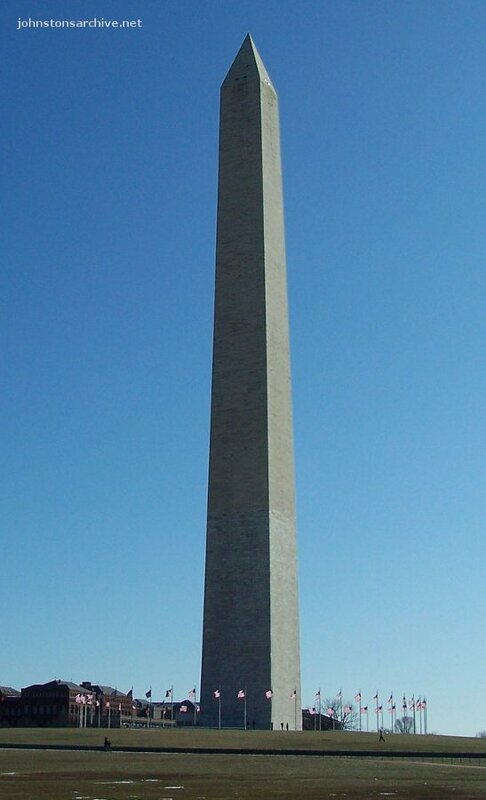 The Washington Monument, dedicated in 1885 after 36 years' on-and-off construction, 169 meters tall. It is currently closed for repairs to damage from the east coast earthquake of 2011. 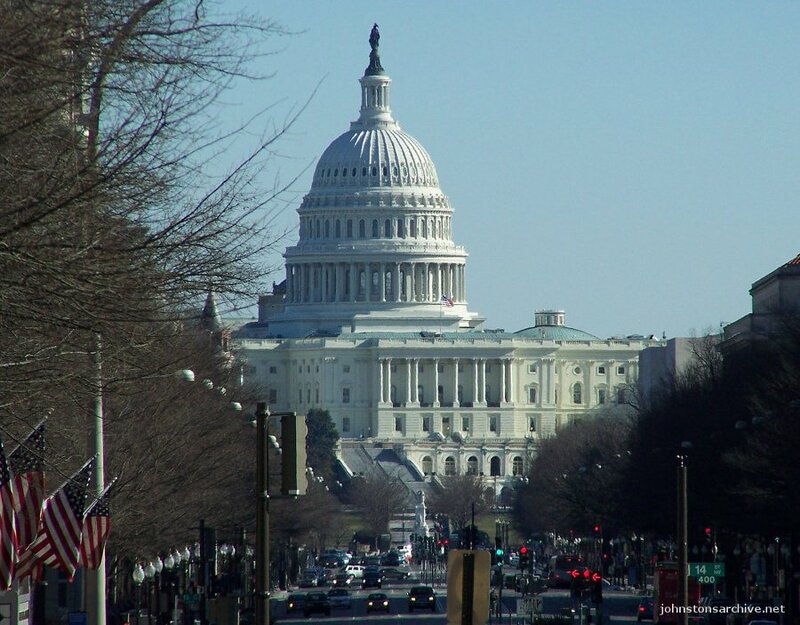 U.S. Capitol building, first construction completed in 1793, rebuilt after being burned by the British in 1814, expanded with construction of this dome completed in 1868. 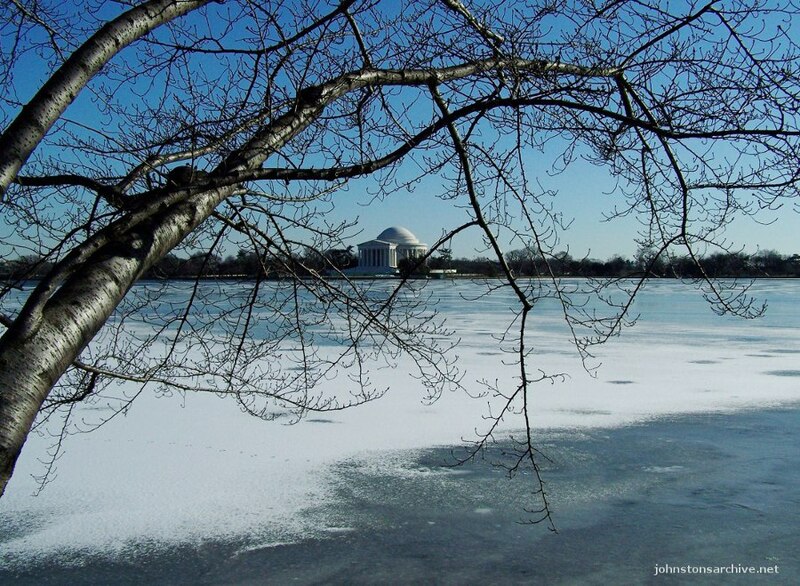 The Jefferson Memorial, built and completed during World War II. 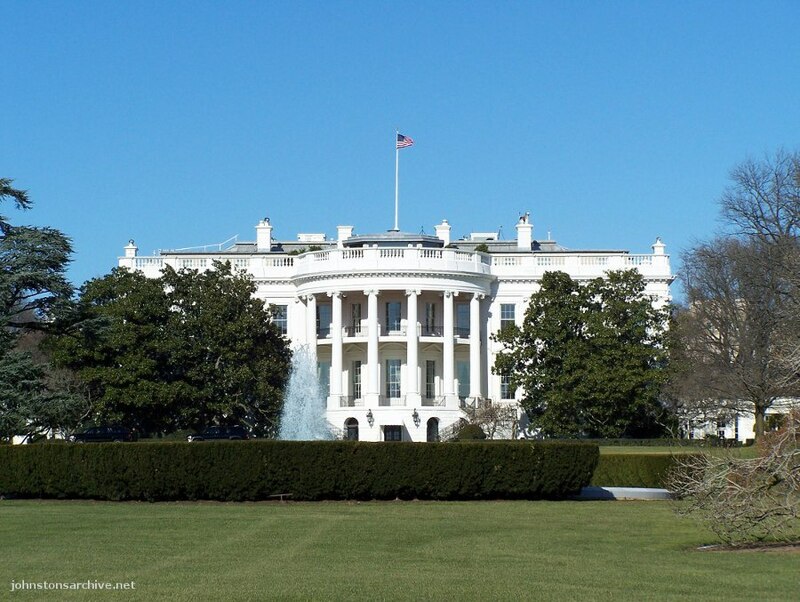 The White House, named that by Theodore Roosevelt, the residence of every U.S. president except George Washington, rebuilt after being burned by the British in 1814. 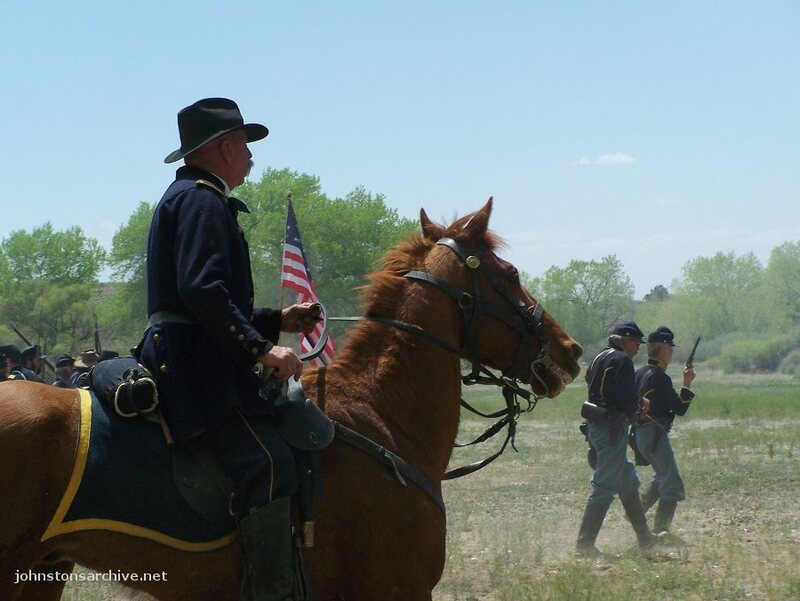 Reenactors remembering the 150th anniversary of the Battle of Glorieta Pass near Pecos, New Mexico, representing Union soldiers fighting to preserve the Union 26-28 March 1863. 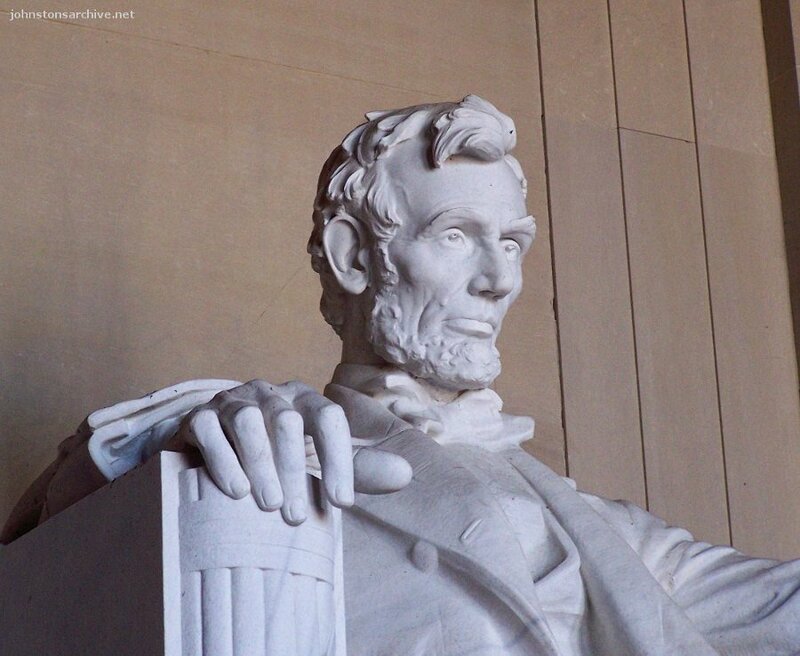 Statue of Lincoln in the Lincoln Memorial, completed in 1922. 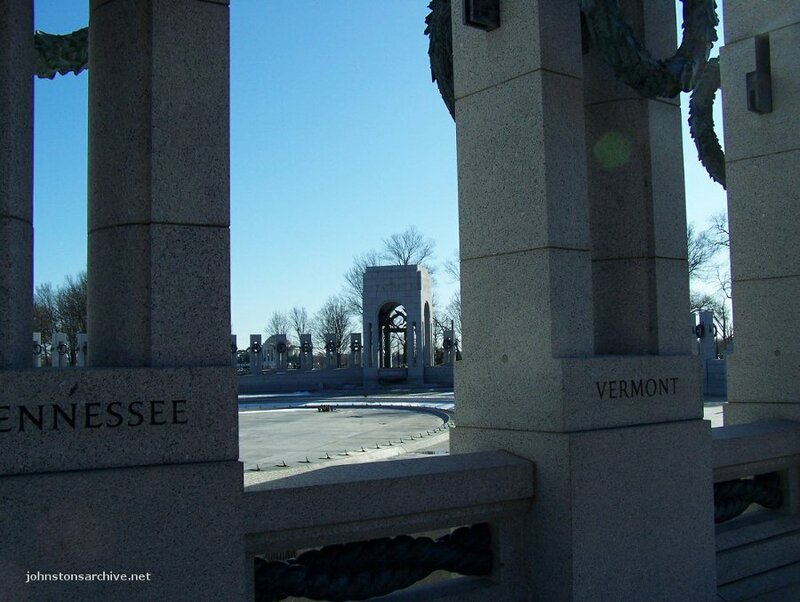 Second Division Memorial, in honor of those killed serving in the Second Division of the U.S. Army. 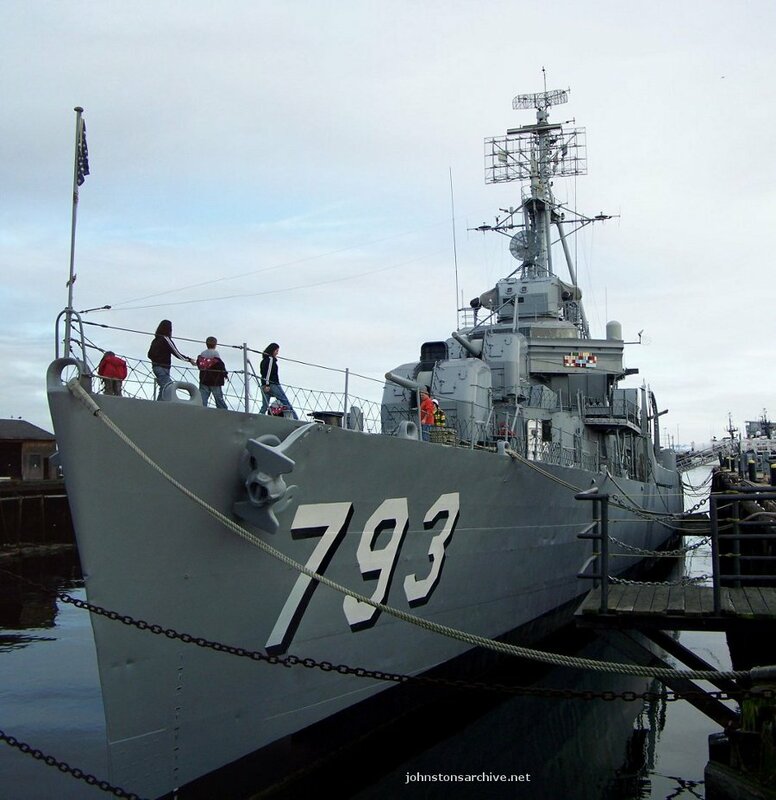 The sword symbolizes the division's blocking of the German advance toward Paris in World War I.
USS Cassin Young, World War II destroyer at Boston National Historical Park. A marker aboard honors sailors killed in two kamikaze attacks on the ship in 1945. The first killed one sailor during operations in support of the invasion of Okinawa. The second attack, 16 days before Japan surrendered, killed 22 sailors. 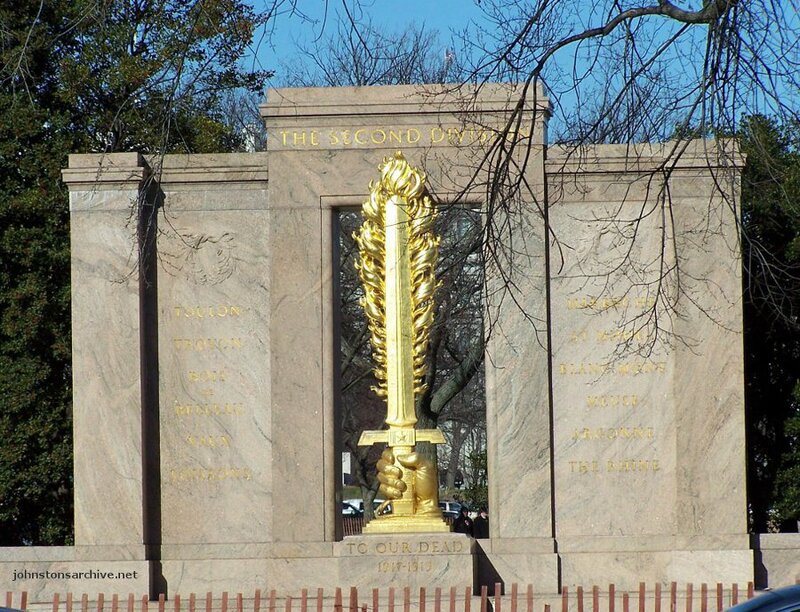 World War II Memorial in Washington, D.C., completed in 2004. 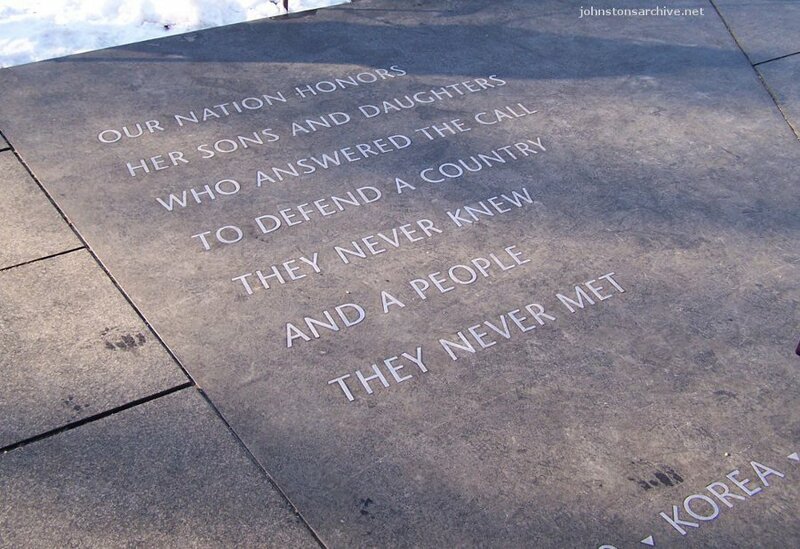 Inscription at the Korean War Memorial, applicable to multiple occasions when U.S. servicemen and servicewomen have sacrificed to promote or preserve freedom for others. Mural in the Air and Space Museum, depicting an Apollo astronaut on the Moon. The last U.S. flag was planted on the Moon 40 years ago this December (2012). 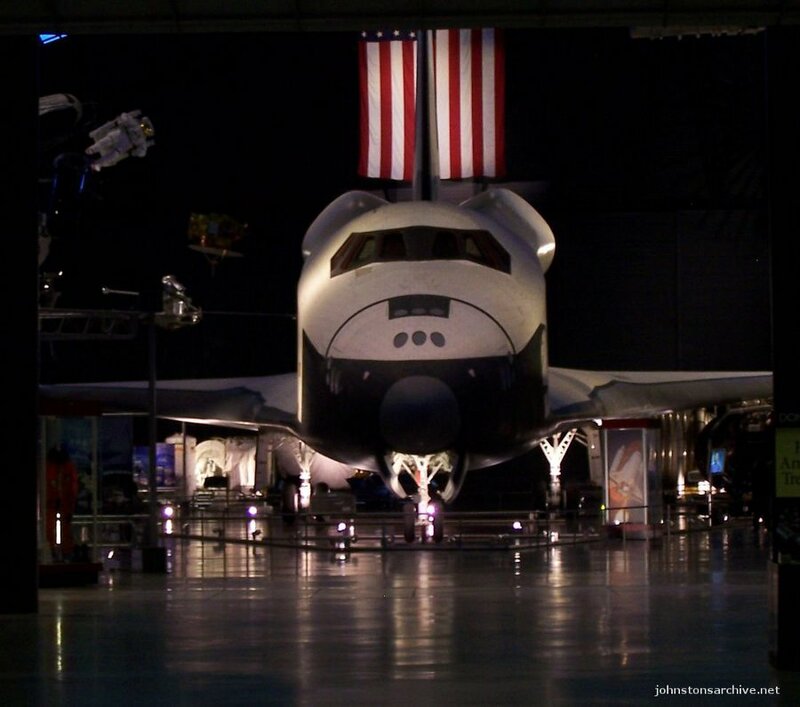 The Space Shuttle orbiter Enterprise at the Air and Space Museum annex, Virginia. The Enterprise was used in flight tests but never went to orbit. 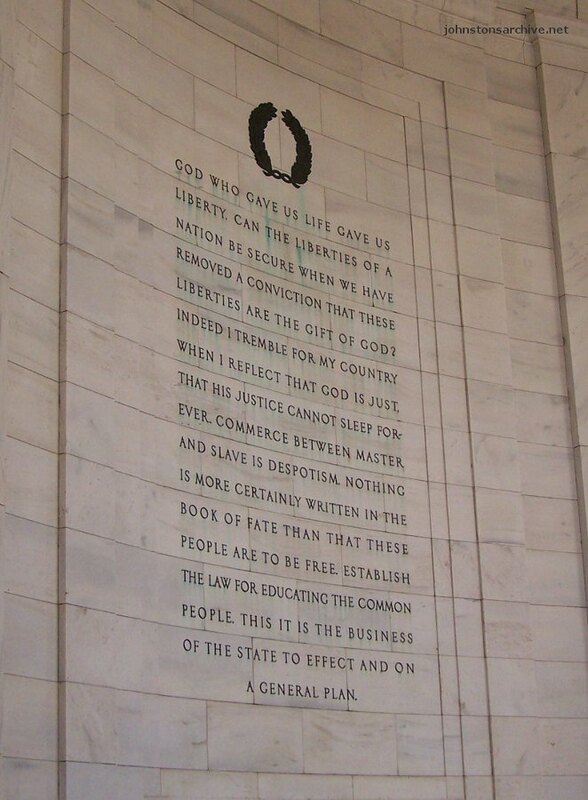 Quote by Thomas Jefferson at the Jefferson Memorial, in part: "Can the liberties of a nation be secure when we have removed a conviction that these liberties are the gift of God? Indeed I tremble for my country when I reflect that God is just, that His justice cannot sleep forever."